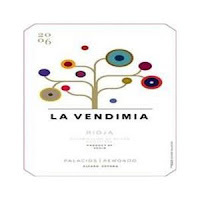 La Vendimia is a very affordable Rioja made by a great winemaker Alvaro Palacios. Palacios is considered one of the great talents along with Peter Sisseck of Pingus that have defined a generation of cutting edge Spanish winemakers. Alvaro studied enology in Bordeaux, while working under Jean-Pierre Moueix at Ch. Pétrus. This along with the amazing quality of most all his wines, are reasons alone to seek out this wine and try it for yourself.